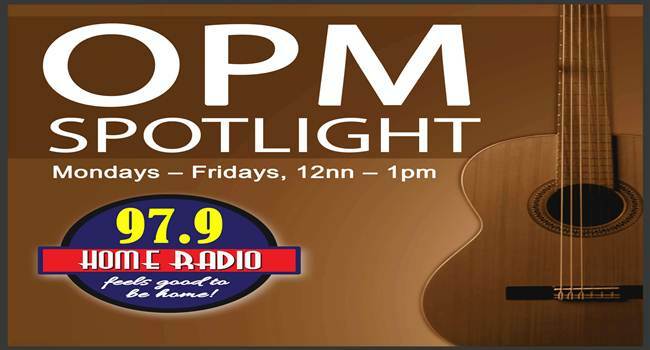 The Station, 979 Home Radio launched OPM Spotlight on January 14, 2019. The show “OPM Spotlight” is an hour of PURE OPM hits! Live guestings and performances. Pure Filipino talent that will serenade you from 12 noon until 1P.M. OPM Spotlight allows guest artists to sing their songs on air and inform the listeners about their favorite songs and how it inspired them taken from their personal playlist. The Station Manager (Braggy Braganza ) said he was overwhelmed by the people from the music industry for their support to the program. Sharlene San Pedro, a former child actress and also a staple TV personality as one of MYX VJ (Video Jock) and recently leads the cast of thriller movie CLASS OF 2018,which was shown last November 2018. Now a teen star takes on the world of music as she released her first ever single under Ivory Music and Video “Pa’no Ang Lahat” on November 16, 2018 on all digital stores worldwide. Sharlene is the 1st OPM Spotlight guest and performed her cover “Kathang isip” of Ben and Ben and Pa’no ang lahat” an original. Her top of the list songs are “Lumang tugtugin” by Inigo Pascual and “Kung ‘Di Rin Lang Ikaw” by December Avenue feat.Moira dela Torre.